It’s an old adage that seems somewhat quaint, but the notion of equating power with knowledge is an enduring theme and a lesson that many people fail to learn. In the Internet age, there’s no reason for people not to have power through knowledge and thus make sound business decisions. This holds true for building your hobby as well. Why collect something you don’t know much about? When you learn more about it, your future purchases will be smarter. If you can’t get answers from the person from whom you’re thinking of buying something, where can you turn to increase your knowledge? As it turns out, lots of places! The information you’ll glean can be invaluable. You’ll see a description of the coin, the auction date and estimate, the price realized, and a description of the coin including its pedigree and scholarly references if known (this is especially helpful with ancients). So, if you are interested in buying a coin similar to the one you’ve found here, you’ll now be able to make a more informed decision. Another powerful search engine is acsearch. Many of the same auction houses that post their sales on Coin Archives also post them here and it’s completely free. There is a short, helpful tutorial on the front page which will guide you through the process of searching for coins, but it’s basically very similar to Coin Archives. Your search will be divided between ancient and modern coins. While you will need to create an account in order to see estimates and prices realized, it’s worth doing. You may find some information here that you don’t find elsewhere. If you are interested in ancient coins, you need to check out Wildwinds which is a free reference website for ancient Greek and Roman coins as well as other ancient types. Once on the homepage, there is a drop-down menu allowing you to search via Sear numbers (a iconic reference for ancients) or by other means such as by city or ruler. When your search has returned results, be sure to click on the “browse with thumbnail images” before moving on. The amount of information here is staggering and the website creators should be lauded for their efforts. If you like ancient coins, you’ll love this website! The bastion of knowledge, your local library, can provide you with many of the expensive reference works that a dealer has spent a lifetime accumulating. First, go to WorldCat, a world card catalog of library books, and type in the name of the reference book you’d like to borrow. When I typed in “Practical Book of Cobs,” I was pleased to see that all the library systems within 100 miles of us have our book on their shelves. This is the first step of the process. From here, you will need to visit the reference librarian at your local library and fill out a form to have the book sent to your library, after which, you’ll have one to two weeks to pick up the book, take it home and use it, and then return it to your library. This process may seem a little cumbersome; however, it’s free and more important, for some reference books (particularly references for ancients), it may be the only place you’ll be able to find the book. Don’t forget the Sedwick auction archive as a resource as well! Here you can browse through all of our catalogs and view prices realized for coins and artifacts. If you receive our catalogs, you know what a great resource they are. And speaking of catalogs, they are a good way to help you start your reference library. Even though you can research coins online all day long, you will still want a library which will contain books you can’t find online or in your library. One caveat about auctions: you don’t always know why a coin sold for the price it did, especially if it’s so far out of line with an auction estimate. Sometimes it’s simply a matter of two people needing (or wanting) the same coin for their collection. 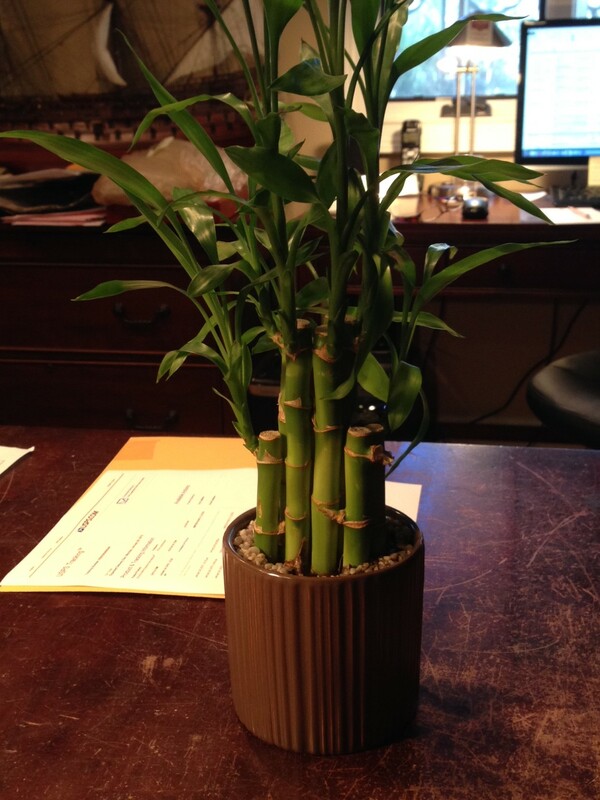 You can’t have power without some luck too, so that’s why we always have our lucky bamboo plant in the office!